When it comes to buying cars, most people would rather go in for a root canal than step foot on a salesroom floor. Car dealerships are filled with pushy salesmen, on the prowl for their next victim to prey upon and doing anything to make a sale. Right? Well, no – not necessarily. In fact, many car salesmen really do want to help you find the right car for you, even if it means not making the sale right away. We spoke to an anonymous car salesman, who spilled the beans on the best insider tips and tricks to getting the best deal on your next car purchase. So whether you’re thinking of buying a new car in the next week or the next 5 years, keep reading to get the inside scoop direct from the horse’s – ahem, car salesman’s – mouth. According to our anonymous source, there’s about a 50/50 ratio between customers looking to buy new vs. used vehicles. This comes down to two very different types of customers – price shoppers and product shoppers. Price shoppers: these are the customers looking only at the cost of the vehicle, i.e. monthly payments plus total costs. These customers usually have a dollar amount in mind when entering a negotiation with a car salesman. Product shoppers: these are customers looking at model options and packages available for their vehicle of choice. They usually have a very specific or custom car they are looking to buy and price not the major factor in their decision. Price shoppers will typically be looking at used cars, and product shoppers almost exclusively look at new cars. Of course there is some overlap, but for the most part, customers fall into these two categories. How much do you love the car? If you’re considering the lease-then-buyout route, make sure you pick a car that you truly love. That way, when your lease term is coming to an end, it will make your decision to buy out easier. How much has really changed with the newer models? If not much has changed in the newer models of your car, then why take on a bigger payment when the vehicle is essentially the same? Our source recommends sticking with your current car instead of upping your payments if not much has changed. If a leased car is in an accident, the residual value stays the same. Yep, it’s true. If you get into an accident with your lease, all you’d need to do is pay to get it repaired and turn the lease in. Then, you don’t have to worry about saddling yourself with a car that has a bad Carfax history. Cars with a bad Carfax history garner 5-10% less in trade-in value than a car with a clean Carfax history. Used cars: When customers come in to buy a used car, they typically know exactly what vehicle they’re looking for and what they want to pay. With used cars, it’s harder to know exactly what the price is (the pricing usually varies from dealership to dealership). Also, it’s important to keep in mind that the value of the vehicle according to Kelly Blue Book might be skewed lower, due to dealership loyalties, incentives, etc. New cars: It’s much easier to figure out the pricing on a new car – most dealerships use the baseline MSRP. However, when negotiating, go off of the invoice price always (only about 20% of our source’s customers know this fact when going into a negotiation with him!). Something else to keep in mind: dealerships in larger cities (LA, SF, NY) usually price their vehicles based on invoice prices, because they know their customers are more savvy and most are looking for the best deal. 1. Talk to 4 or 5 different dealerships. 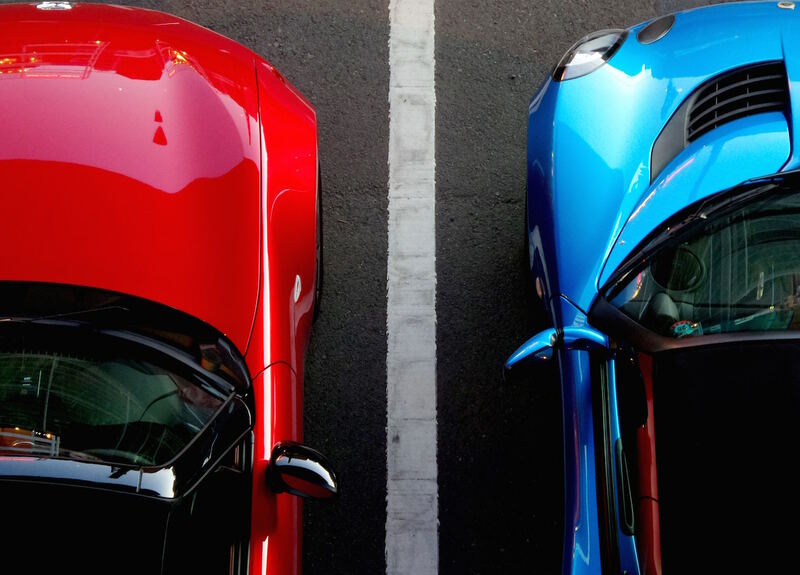 After talking to all of them, pit each dealership against each other to determine who is going to give you the best value and customer service. 2. Do research before you set foot on a sales floor. Doing research beforehand will help you make a more informed decision, and empower you to feel confident in the throes of price negotiations. 3. Pay attention to additional dealer-installed add-ons and additional fees. This is where they get ya. Many times, you don’t need the add ons – and always ask if there’s a fee that you don’t understand. 4. Check out the marketing initiatives. Each month, car manufacturers will do marketing incentives on new cars. This means that sometimes their new models might be discounted to encourage purchase! Be sure to check out the marketing initiatives before making a purchase. 5. Timing is key. The best time of year to purchase a car are in the Spring and in the Fall. These are the times of year that car manufacturers are coming out with new models, and dealerships are looking to move aged inventory. A price-conscious shopper would be at an advantage in negotiations during these times of the year. 6. Shop small. Customers should avoid larger, one-price, “no-haggle” dealerships (such as Penske or Carmax), as there is zero negotiation. When shopping, you should try going to a smaller, niche, or family-owned dealership to get a better deal on a car – simply because they are more likely to negotiate with you. So there you have it, straight from the mouth of a car salesman himself! At the end of the day, finding a car salesman that you can trust to guide you through the process is just as important as the vehicle itself. As always, if you’re buying or leasing a new car, or are just shopping around for a car insurance policy that will save you money, consider making the switch to Metromile! Happy haggling!